Weapon consists of a control satellite and a disposable magazine satellite which drops Hypervelocity Rods that can hit targets on the Earth. Artist's concept. 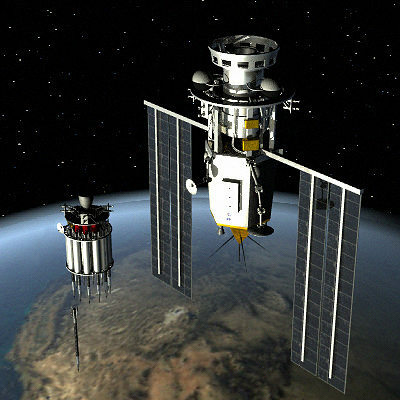 Model includes three objects; Control satellite, Magazine satellite, and HV Rod.